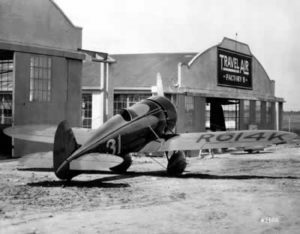 Three famous names in aviation—Walter Beech, Lloyd Stearman, and Clyde Cessna—formed the Travel Air Manufacturing Company in Wichita, Kansas in January of 1925, and within a few years it became a huge success. In 1928, for example, the company built just over half of the new aircraft licensed. We’re the 25th owners of N9872. 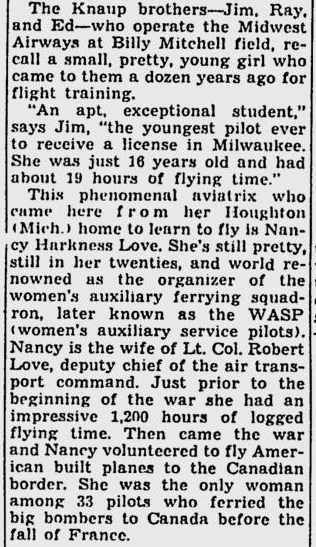 Over the years she worked in seven different states delivering mail and parcels, flying with the Civil Air Patrol, training Navy flyers, starring in a movie, laboring as a crop duster, and sometimes just enjoying fun flights. 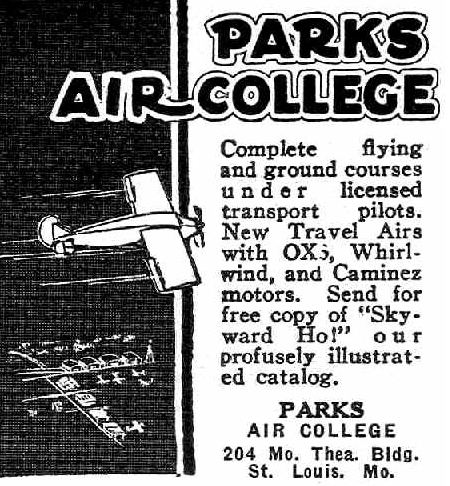 The aircraft’s first owner, Oliver Parks of Parks Air Lines in St. Louis, Missouri, purchased the aircraft May 21, 1929. N9872 was one of seven Travel Air 4000 aircraft that they owned and operated. 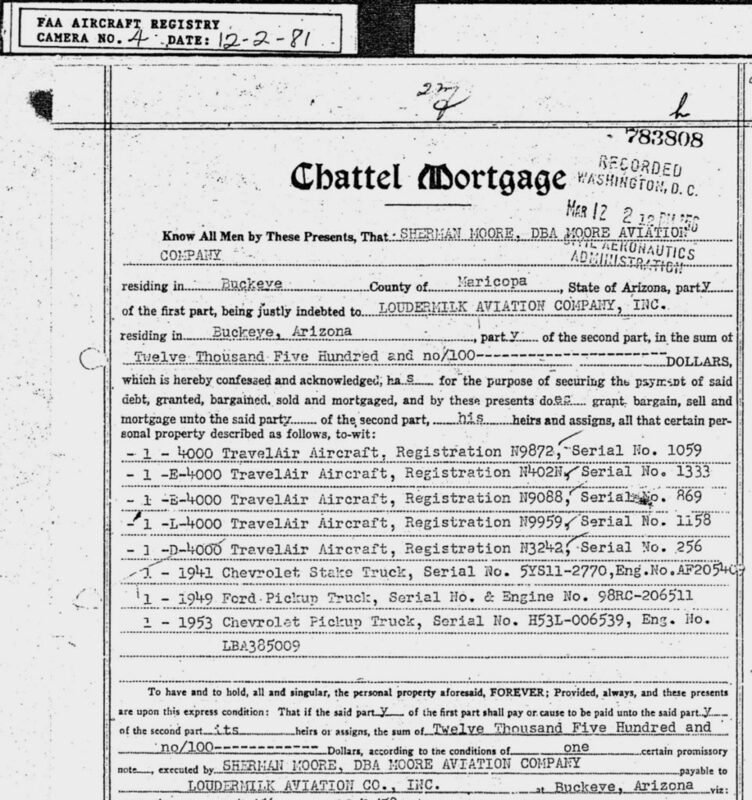 Olive Ann Mellor was the Travel Air Manufacturing Company office manager, and Notary Public for that purchase. She started as bookkeeper at Travel Air, married the boss, Walter Beech, and eventually became the capable and visionary Chairman of Beech Aircraft. 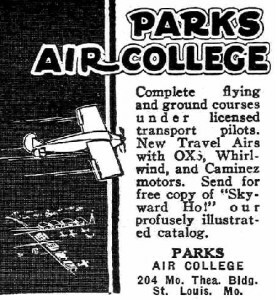 Park Air Lines, renamed Parks Air College Airlines, trained pilots and hauled airmail from Curtiss Steinberg Airport, now the St. Louis Downtown Airport. Parks swapped stock with Mid-Continent Airlines, Ozark Airlines bought them out and then merged with TWA. TWA merged with American which recently merged with U.S. Airways. 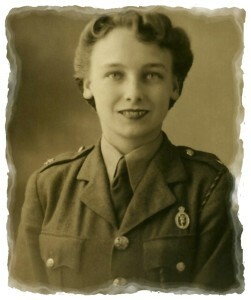 From little acorns, mighty oaks grow . . . .
We rather like the fact that Olive sold our Travel Air to Oliver and that the aircraft is now nicknamed Olive in honor of Olive Shepherd who served as a Sergeant in the WWII Auxiliary Territorial Service (ATS)–the women’s branch of the British Army. Owner number four was James, Ed and Ray Knaup’s Midwest Airways, who moved N9872 to Milwaukee County Airport, operated by Thomas Hamilton. (Hamilton founded Hamilton Aero Manufacturing Company in Milwaukee and later merged with Standard Steel to form the famous Hamilton-Standard propeller company.) 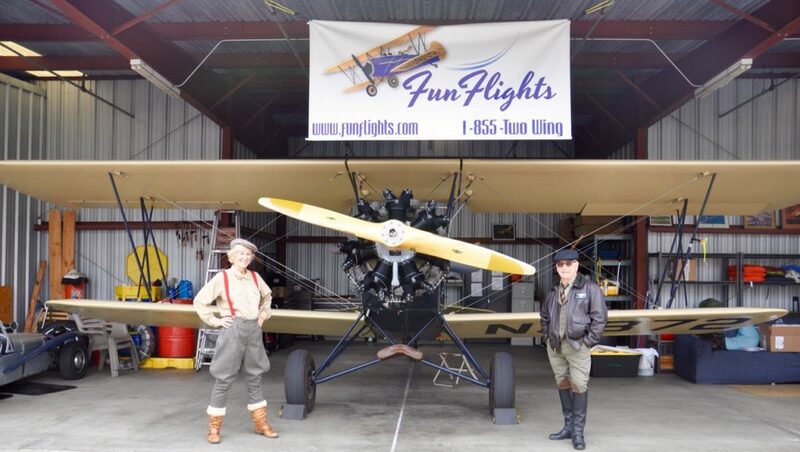 The Knaups, true aviation pioneers who began flying in 1925, were inducted in the Wisconsin Aviation Hall of Fame on October 25th, 2014. Midwest Airways offered flight training, aerial photography, air parcel services, and rides to airport visitors. They serviced Lindbergh’s Spirit of St. Louis, Wiley Post’s Winnie Mae, taught the African explorer Frank “Bring ‘Em Back Alive” Buck how to fly, and turned out 3,000 military pilots for WWII. In 1932 they flew The Spirit of 3.2 to Washington with a cargo of Milwaukee beer in celebration of the repeal of prohibition. Owner number seven, Herman J. Wilhelmi, moved N9872 to Illinois. Herman was an Eastern Airlines pilot known to tell Air Traffic Control, “This is Herman the German – I’m coming in,” whereupon he’d zoom inside slower traffic and clear the runway before the others could arrive. 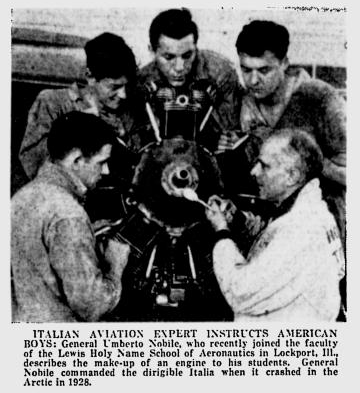 Owner eight, in 1939, was the Lewis Holy Name School of Aeronautics in Illinois with Bishop Bernard Sheil at the helm. The Bishop was passionate about giving an opportunity to underprivileged boys so they could learn aviation. The US Navy took over the campus during WW2 and hundreds of pilots received their training there. Now it’s Lewis University and has a highly regarded Department of Aviation and Transportation Studies. N9872 then went to Missouri and the Civil Air Patrol, to Dallas and the Garrett Flying Service, and then to California where she worked for the Hemet Packing Co, not far from where she’s based now in Carlsbad. She worked in Buckeye, Arizona as a crop duster, was sold to Loudermilk Aviation Co. then to a guy named Sherman with a chattel mortgage for five aircraft and three pickup trucks. The 21st owner was an airline captain from San Diego, Spencer V. Nelson, who brought N9872 back to California. ‘Spence’ as his many friends called him, had an awful lot of fun with his biplane. Among other adventures, one summer he briefly joined Richard Bach’s version of ‘The Great American Flying Circus” barnstorming around the country in 1966, appearing in Bach’s book “Nothing By Chance” and then in the movie (1973) along with San Diego’s Stu MacPherson, Canadian author Glenn Norman, Hugh Downs, Steven W. Young and Richard Bach. 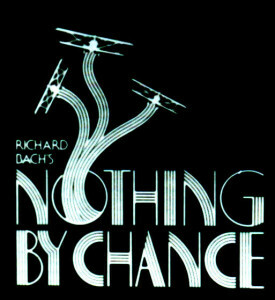 Bach is best known for the best-seller Jonathan Livingston Seagull. Today Travel Air N9872, also known as Olive, lives at McClellan-Palomar Airport in Carlsbad where, after an already busy life, she’s now flying passengers for Fun Flights over San Diego Coastal North County! Olive will also be one of twelve vintage Travel Airs participating in the 2018 American Barnstormers Tour!